Home » Vision » Failing Vision Tied to Shorter Lifespan? When it comes to ensuring your overall health, eye health is often left out. We may not hear as much about eye health as being a factor that could increase your risk of death, but it can. What if I told you that five or 10 years from now, you may not have the ability to sweep the floor, answer the phone, or shop for your weekly groceries? These simple tasks are very important components of your everyday life; in fact, without assistance, if you lost the ability to complete these everyday tasks, you likely couldn’t survive. And while you may wear glasses, eye health–related decline and your chance of eye disease can increase with age, especially above the age of 65. Everyday tasks are simply more difficult as a result of vision loss, which can lower your survival rate, according to data compiled by Purdue University researchers and recently published in the journal JAMA Ophthalmology. The researchers observed the Salisbury Eye Evaluation study, which measured the degree at which vision loss increased the death rate in relation to the inability to complete basic daily activities. More than 2,500 older adults between the ages of 65 and 84 participated in the study. The participants were assessed when the study began in 1993, then re-examined two, six, and eight years later. The results were surprising. The risk of death increased every year by three percent in those who could not easily perform daily tasks, and the mortality rate increased to a whopping 31% when the study ended. 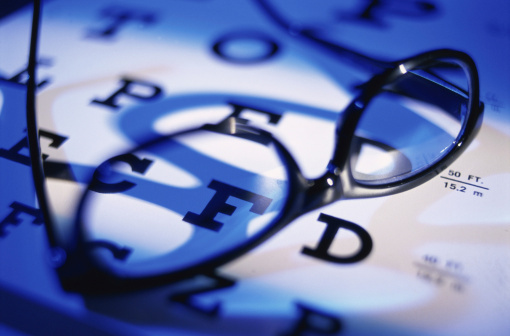 What’s even more interesting is that the study found that vision declined by one letter size during eye chart exams. The risk of death increased by 16% in participants who experienced a reduction in the ability to complete daily tasks. As someone who wears glasses, I understand the importance of eye health and how it can be a major factor in your overall health and well-being. Unfortunately, age can be a major factor in your eye health. It is particularly well-known that age-related eye disease in seniors is responsible for nearly two-thirds of those who are legally blind. I believe these diseases are 100% preventable from early detection through regular eye exams and proper fitting for your glasses or contact lenses. I also recommend daily eye exercises to naturally boost your eyesight. Think about it. Your dentist tells you to brush for healthy teeth; your eye doctor should also give you a daily activity for healthy eyes to improve focus, eye movement, and the stimulation of the brain’s vision center. Prescribed eye exercises will vary based on the individual; however, one effective eye exercise that I use is switching my focus from near to far, while switching eyes when each distance becomes clearer. You can also look at different objects with one eye covered for a continuous timeframe. There is also a 2013 controlled and experimental study published in the renowned journal PLOS ONE that backs up my prescription for eye exercises. This study suggests cognitive performance with daily tasks that require adequate memory and attention may improve through the use of eye exercises. Finally, your diet can also contribute to better eyesight. Lycopene, beta-carotene, and lutein/zeaxanthin are carotenoids that are known to promote eye health and are a good source of vitamin A. A review published in the journal Nutrients in 2013 particularly supported the intake of carotenoid-rich foods for major age-related eye disease prevention, especially in older adults. Kale, spinach, carrots, bell peppers, and sweet potatoes are excellent sources of carotenoids as well. By simply incorporating these vision-boosting foods into your diet and regularly performing eye exercises, you can help prevent vision decline—which, in turn, could lengthen your life. Mateljan, G., The World’s Healthiest Foods: Essential guide for the healthiest way of eating (Seattle: George Mateljan Foundation, 2007), 740. Christ, S., et al., “Vision Loss Adversely Affects Daily Function Which Can Increase Risk for Death,” JAMA Ophthalmology August 21, 2014, doi: 10.1001/jamaophthalmology.2014.2847. “Eye Exercises,” WebMD web site; http://www.webmd.com/eye-health/eye-exercises, last accessed September 5, 2014. “Special Report on Aging and Vision Loss,” American Foundation for the Blind web site, January 2013; http://www.afb.org/info/blindness-statistics/adults/special-report-on-aging-and-vision-loss/235, last accessed September 5, 2014. Noto, P., et al., “Eye Exercises Enhance Accuracy and Letter Recognition, but Not Reaction Time, in a Modified Rapid Serial Visual Presentation Task,” PLOS ONE March 19, 2013; 8(3), doi: 10.1371/journal.pone.0059244. Abdel-Aal, E-S.M., et al., “Dietary Sources of Lutein and Zeaxanthin Carotenoids and Their Role in Eye Health,” Nutrients April 9, 2013; 5(4): 1169–85, doi: 10.3390/nu5041169.